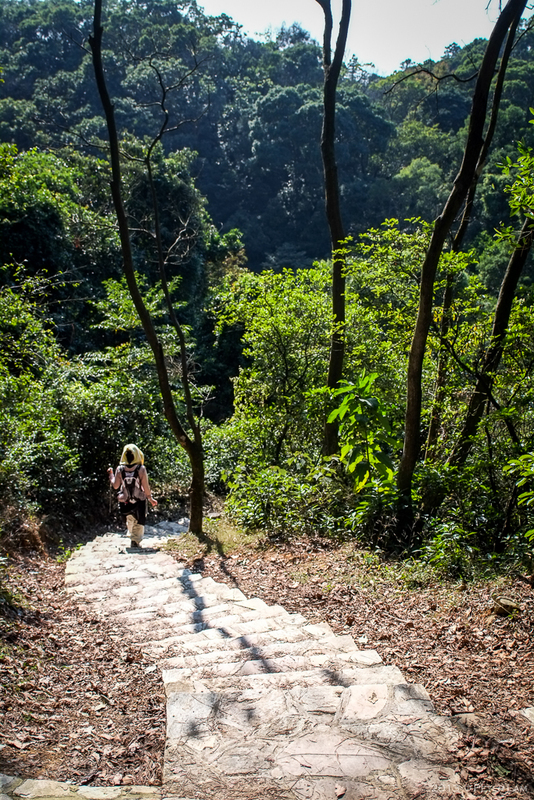 The plan was to trek from Tsuen Wan to Yuen Long via the Yuen Tsuen Ancient Trail (元荃古道) linking the two suburbs in the northwest New Territories – formerly the main footpath between the two towns for trade and supplies before major road infrastructure was built. 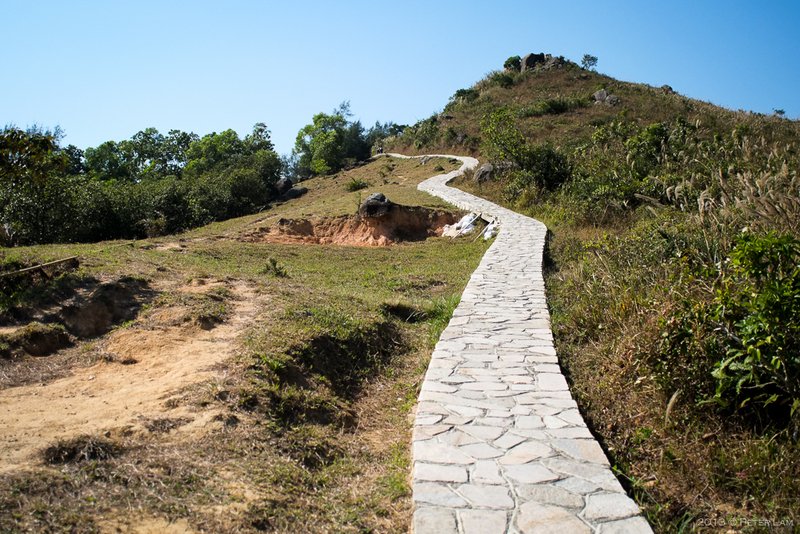 Nowadays this trail is for the most part stone paved or cemented, with only a few sections on dirt. 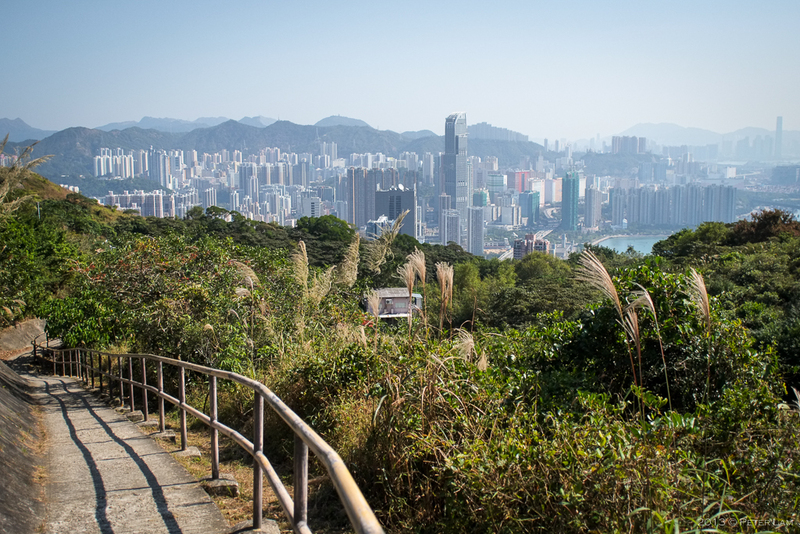 The first section of the hike is an uphill walk with great views of Tsuen Wan and Tsing Yi areas, and the weather was simply terrific. 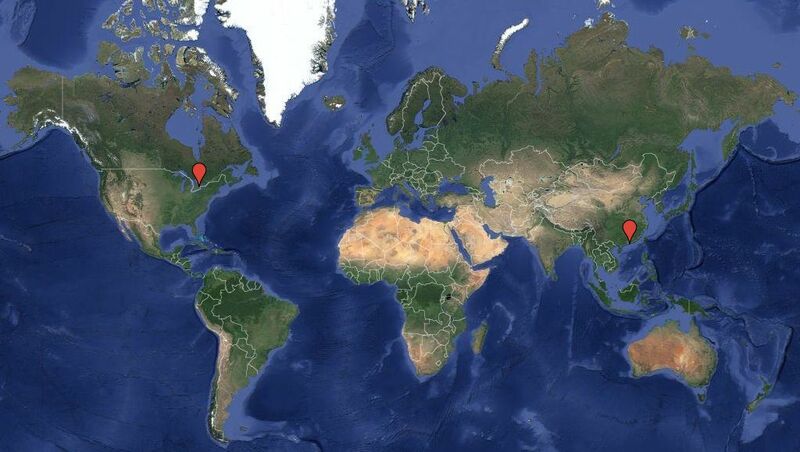 The hike as tracked by Runkeeper. I say ‘the plan’ because the hiking party ended up taking a slightly different path on the second half of the walk, due to one of the hiking buddies (ahem – Edwin) somehow managing to injure his knee on a downhill. How? Because about 5km in he decided to loosen up by shaking his legs, and instead dislocated something (my non-professional non-medical analysis) making any descent difficult… So we decided to modify the route and instead connect to the Maclehose Trail Section 10 for the remainder of the walk to Yuen Long. This was a little less challenging and the path was asphalt paved, and shared with cars. Luckily we were able to flag a cab and taxi the rest of the way into Yuen Long. Lessons learned? 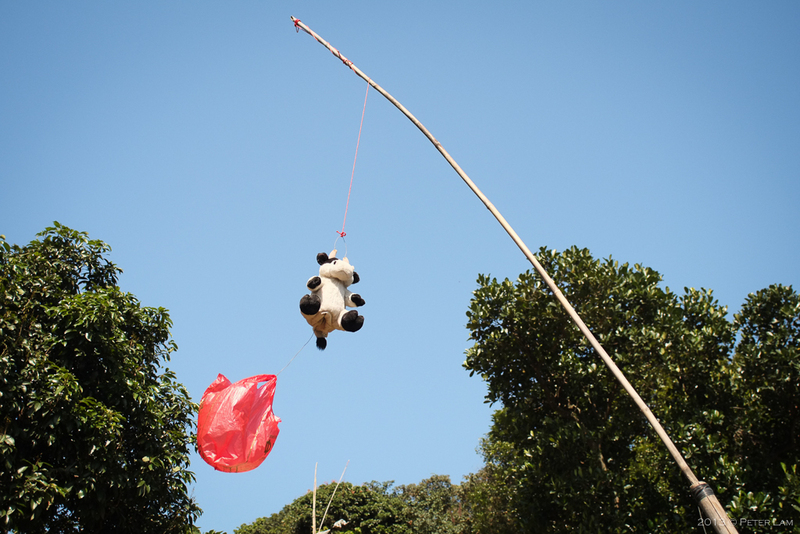 1) Always bring a map, and 2) always have an escape route, just in case! And yeah, don’t shake your legs hahaha! Luckily the hike was not in a totally remote area. 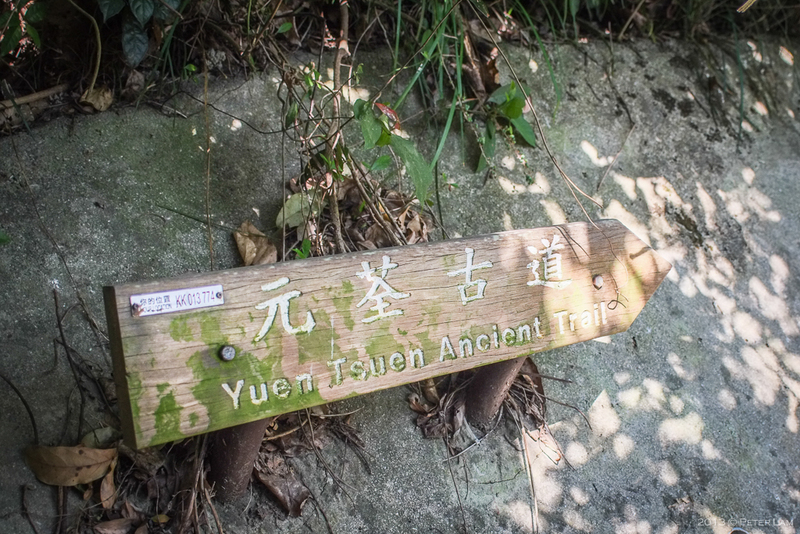 So basically the route became the Yuen Tuen Ancient Trail, followed by a portion of Maclehose Section 10, and then on to the Tai Tong Shan Road through the Tai Lam Country Park. 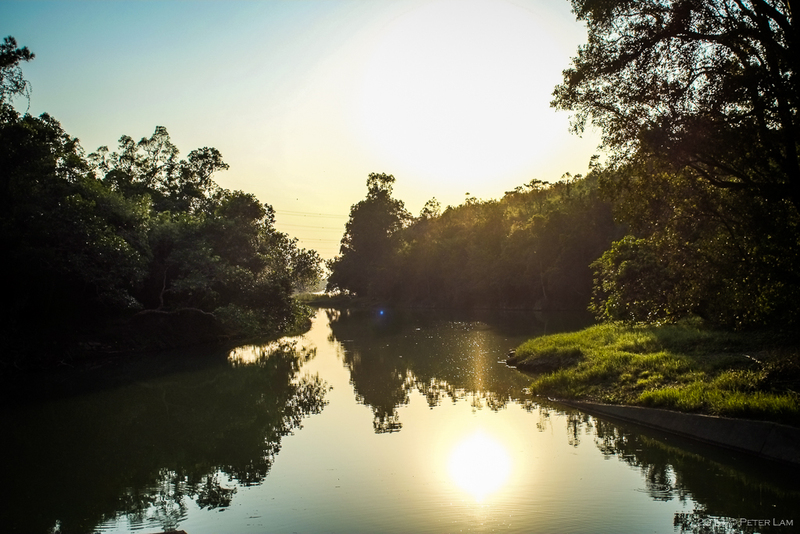 On the way past the tip of the Tai Lam Chung Reservoir, it started getting quite crowded on the road, almost a party atmosphere with everyone out taking pictures of the sunset and the (few) red leaves on roadside trees. Quite a popular place, and lots of areas set aside for picnics and BBQ pits. A good walk of just over 12km, peaking at 400m at the beginning, and then steadily downhill from there. And yeah – hiking buddy Edwin is fine, so much so that we celebrated with an excellent old-school HK style BBQ right after the hike. All pics taken with my Canon FD 24mm f2.8 lens; click to see larger versions. 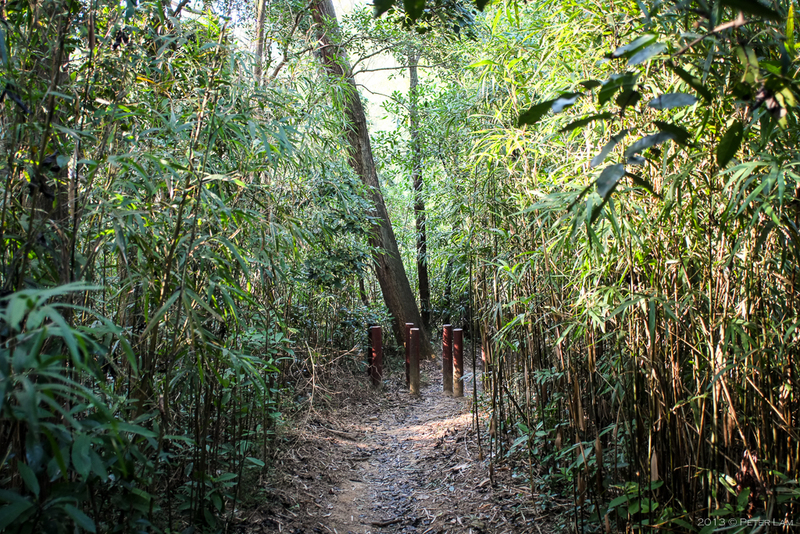 The start of the trail at Tsuen Wan. …and Tsing Yi town adjacent. This section of the trail looks recently paved. 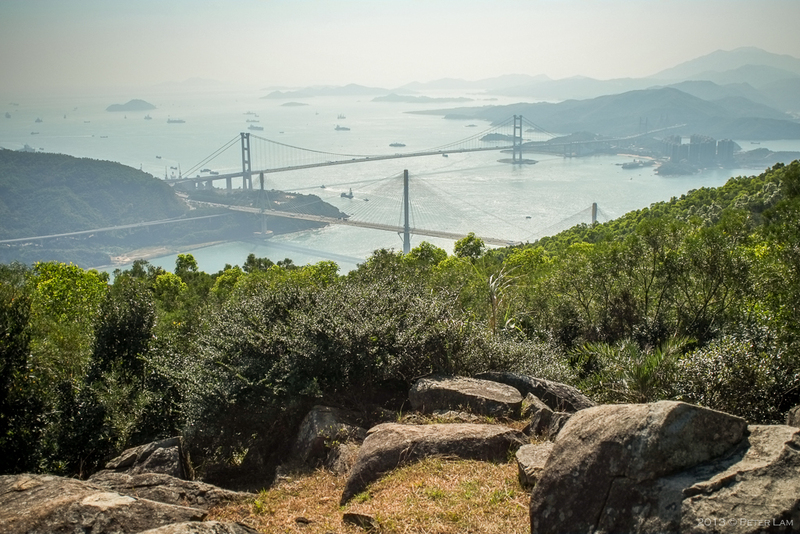 At the peak of the trail, a view of Tsing Ma and Ting Kau bridges. A gradual descent into thick forest. 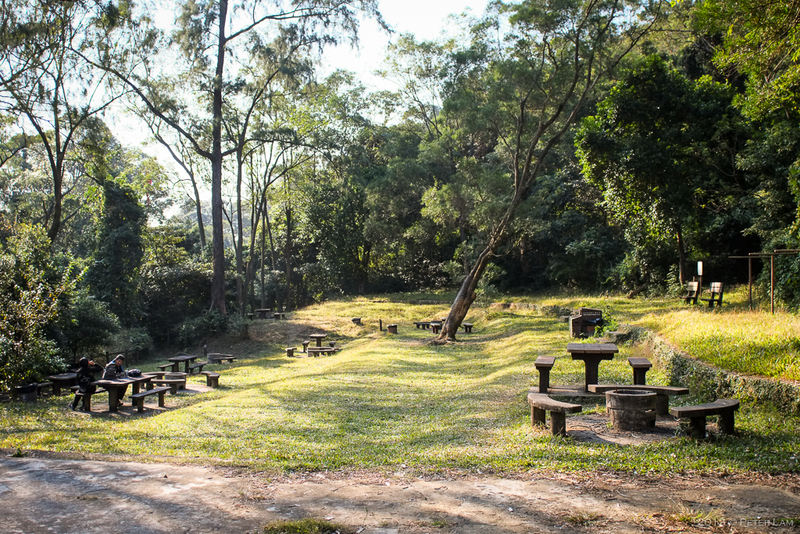 Picnic area near Tin Fu Tsai, about 6km on the trail. The northern tip of the Tai Lam Chung Reservoir. It started getting busy here. 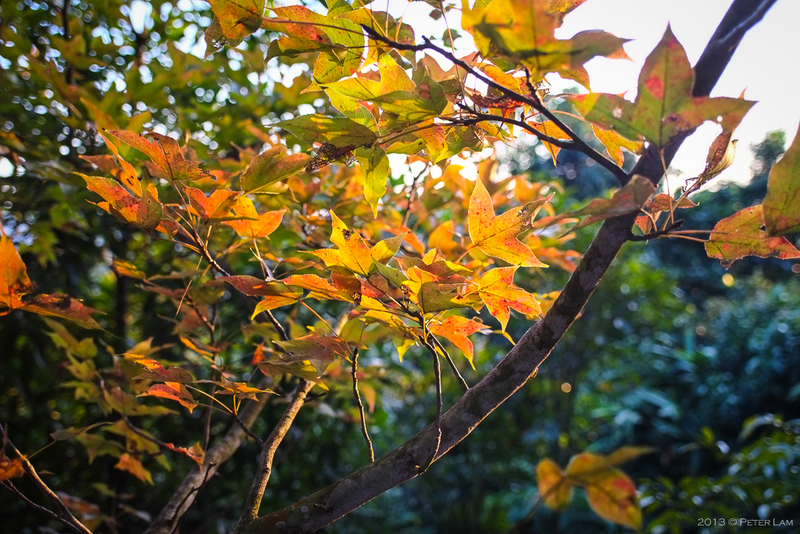 Red leaves on Tai Tong Shan Road, very popular with photographers (and their girlfriends). Great hiking story Pete. 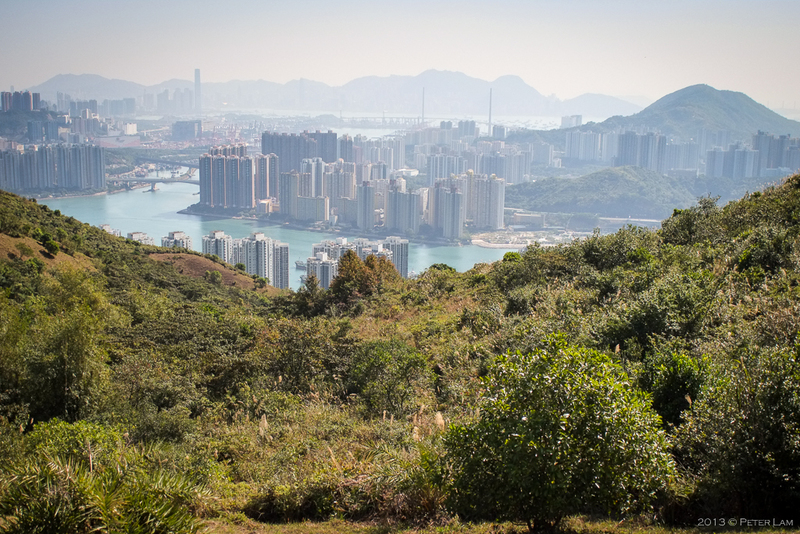 Your 2 pictures of the city from the hiking trail were beautiful!